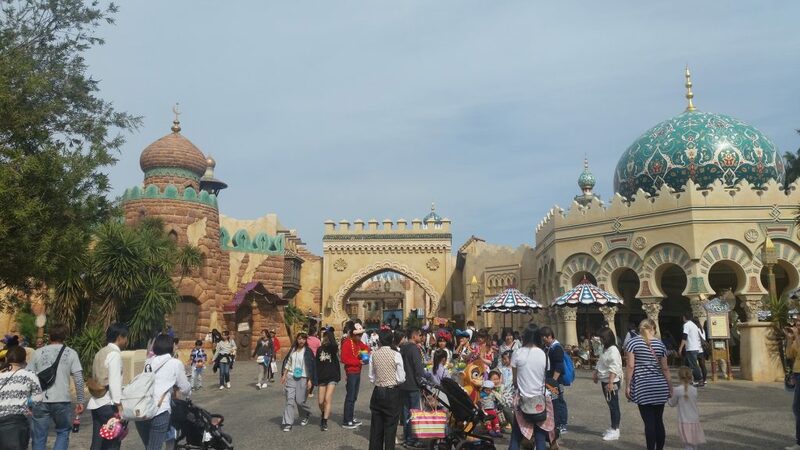 Tokyo Disney Sea is the second Disney park to open in Japan. 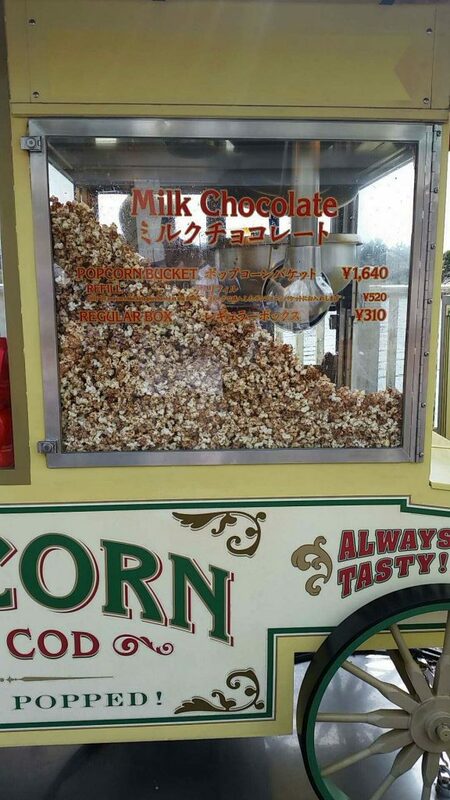 On my recent trip to Tokyo, I was able to spend a day in the park and see what it had to offer. 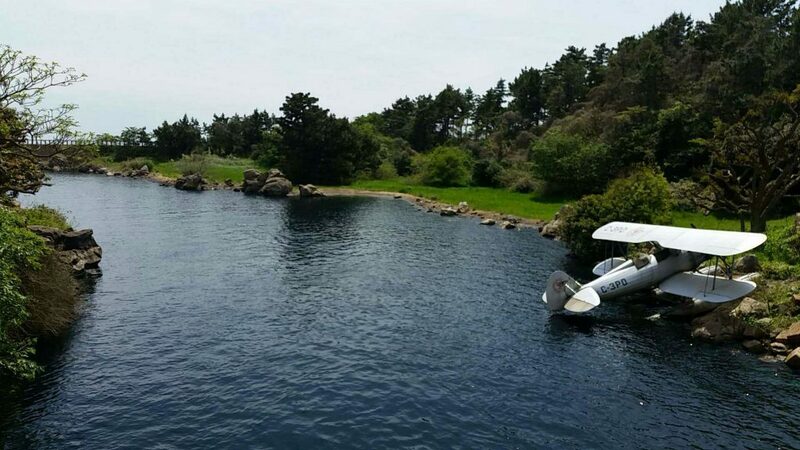 I spent the whole day there making sure to check out everything I could. 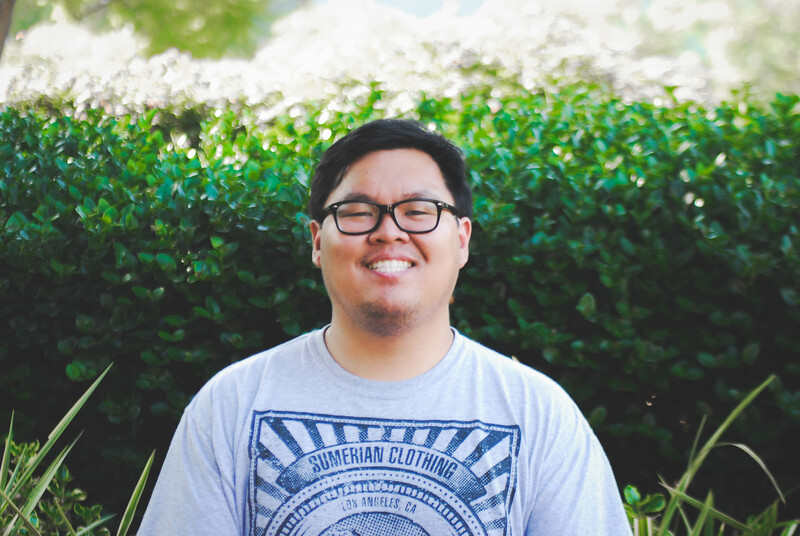 At the end of the day, I felt I got my money’s worth and was very content with how the park was. 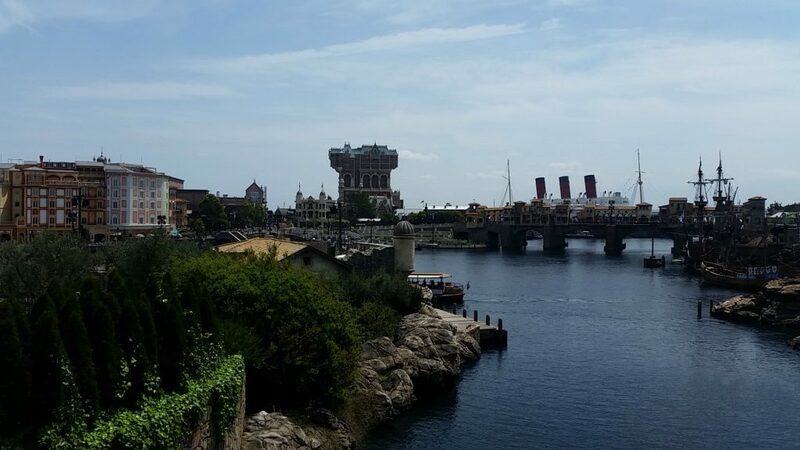 Here are, in my opinion, the best things about Tokyo Disney Sea. 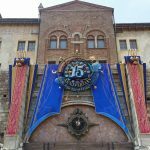 Upon entering Tokyo Disney Sea, guests are greeted by a fountain with a giant globe as the centerpiece. 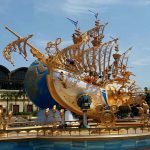 Next to it for their 15 year anniversary is a golden futuristic steam punk ship with Mickey and friends controlling the helm. 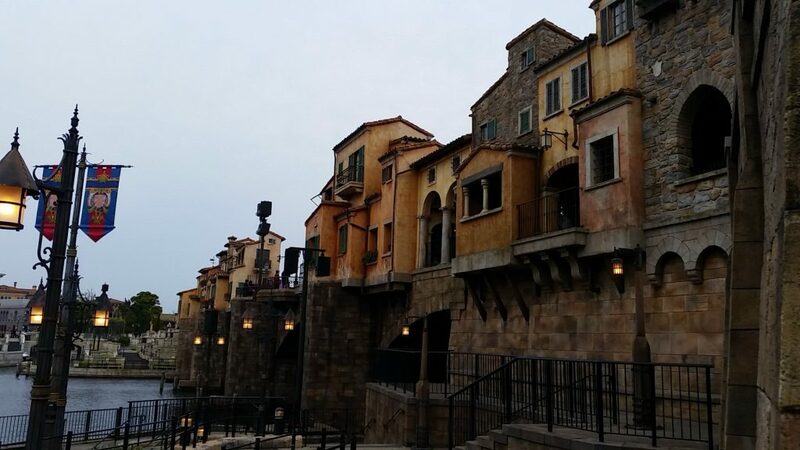 However, what really captivated me was how you’re funneled under a stretch of Venetian style buildings and end up in the Mediterranean Harbor. Looking at all the attractions, there were only a few rides that were the same as the attractions at the Disneyland Resort. Of course, I had to try as many of them as I could. Each ride brought a different element to the park. There were motion simulator rides like Stormrider and mini coasters like Raging Spirits. 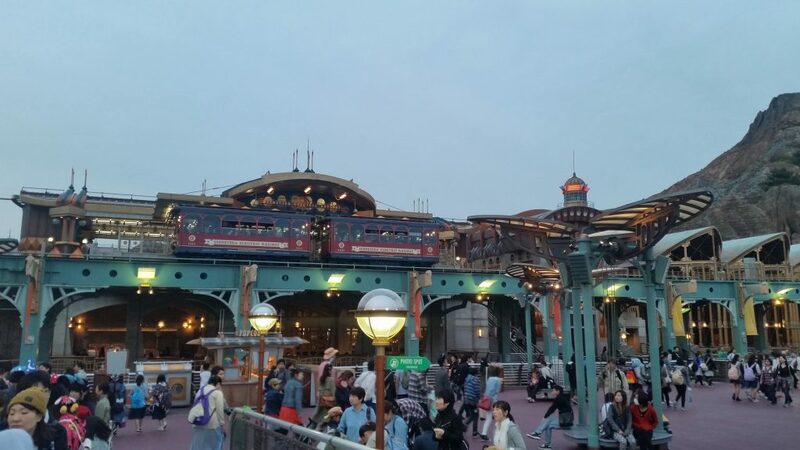 Disney Sea even has their own type of transportation system to take guests around the different sections of the park. 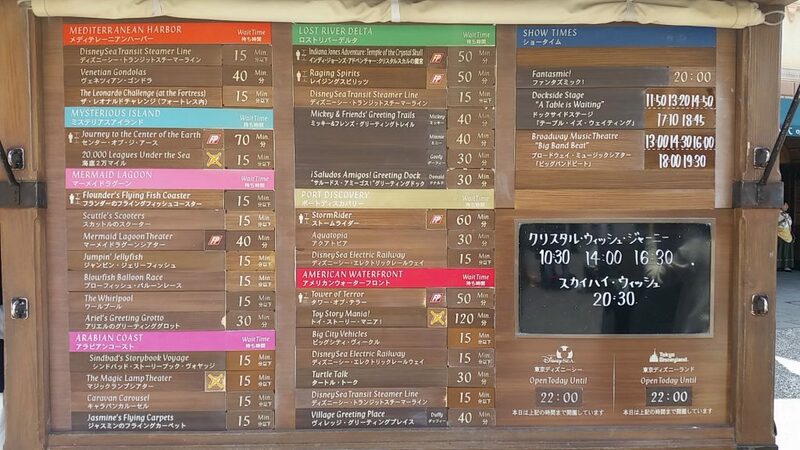 As I walked around the park all day, the one thing I made sure to check out was each outdoor food vendor. 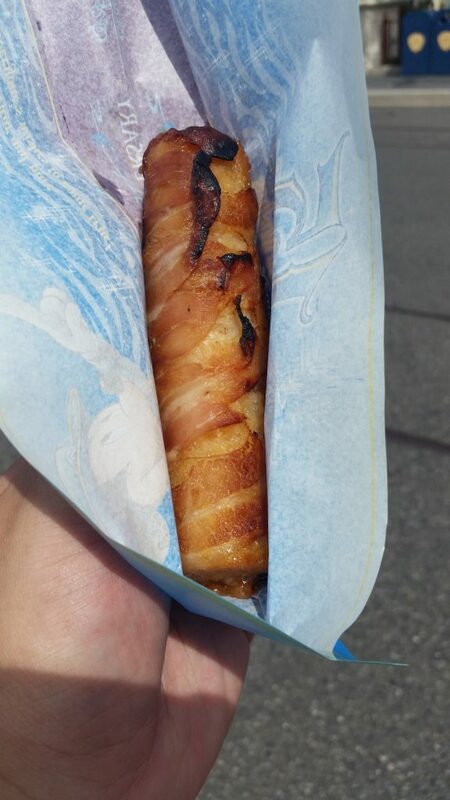 Surprisingly, the food items were very affordable and although it was cheap, it didn’t mean that it lacked in flavor. 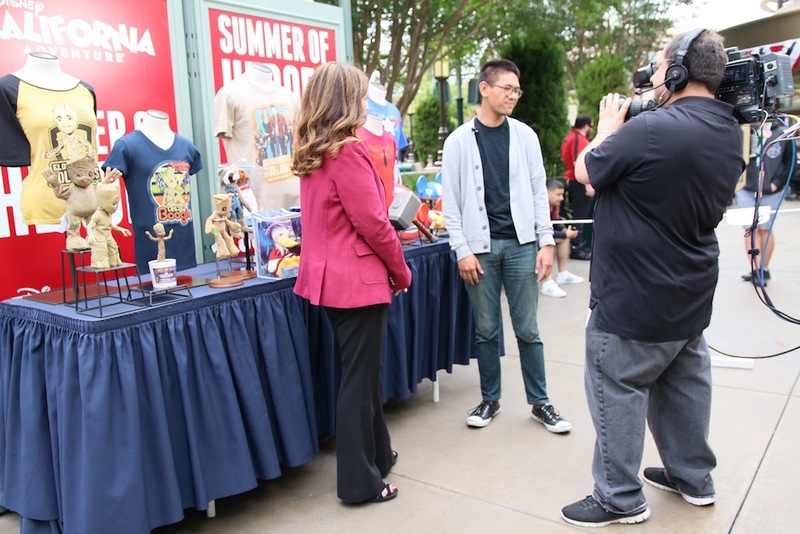 The park sold at least five different types of popcorn and an assortment of different finger foods from steamed pork buns to rice rolls wrapped in bacon. 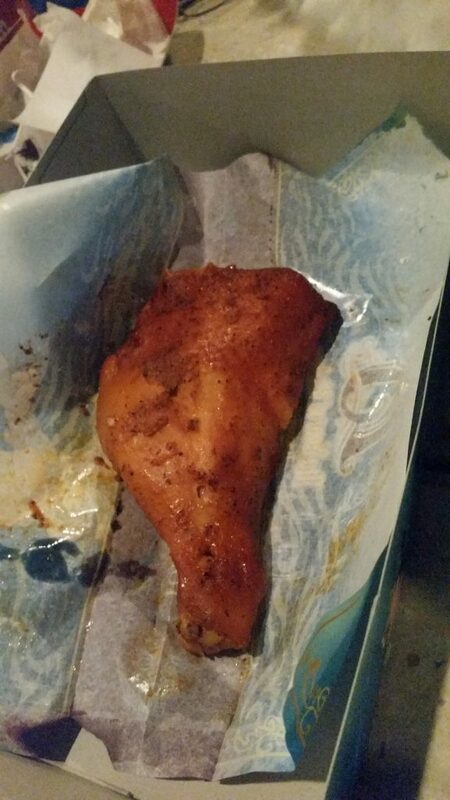 My favorite food item was the smoked spicy chicken leg. 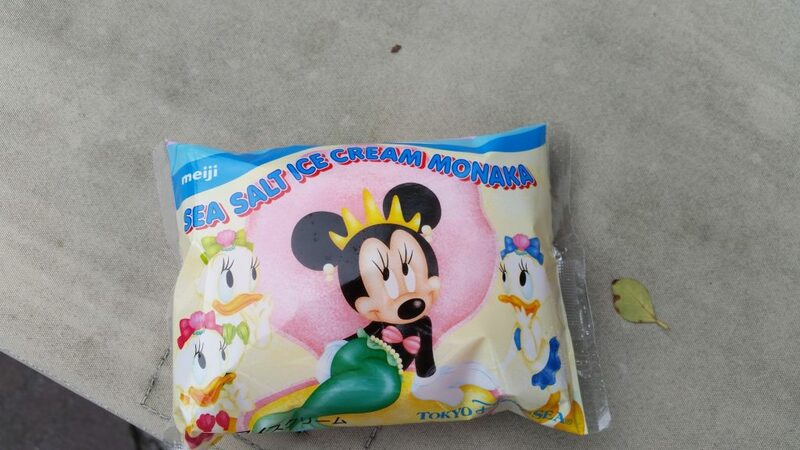 I saw people eating it everywhere and the funny thing is its only sold in one spot in the entire park. 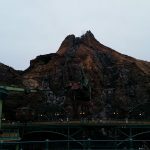 All Disney parks bring out a sense of magic that captivates people and although there was a language barrier when I went to Tokyo Disney Sea, it didn’t take away the fact that I still felt the magic all around me. The attention to detail in every building, landscape, and attraction was created with the utmost precision. The different lands looked amazing and I felt fully immersed in each one. 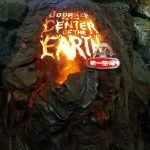 It was like I was actually in Arabia as I walked around the Arabian Coast or that I went into the jungle as we explored the Lost River Delta. 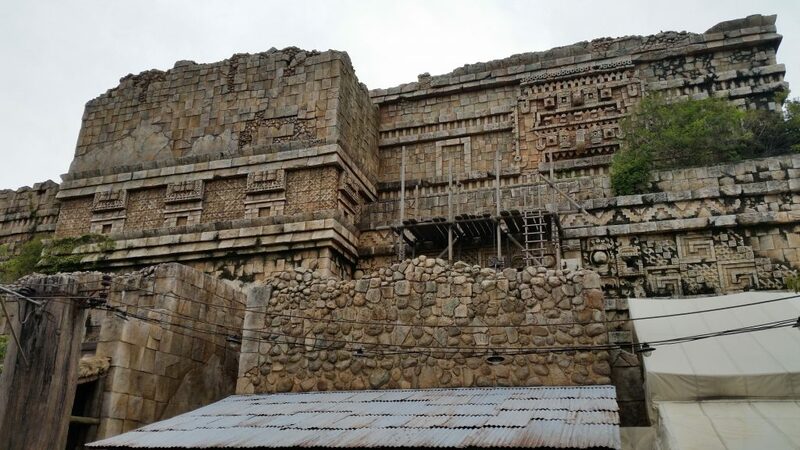 The buildings were life-sized, but so was the personality that each of the lands embodied. 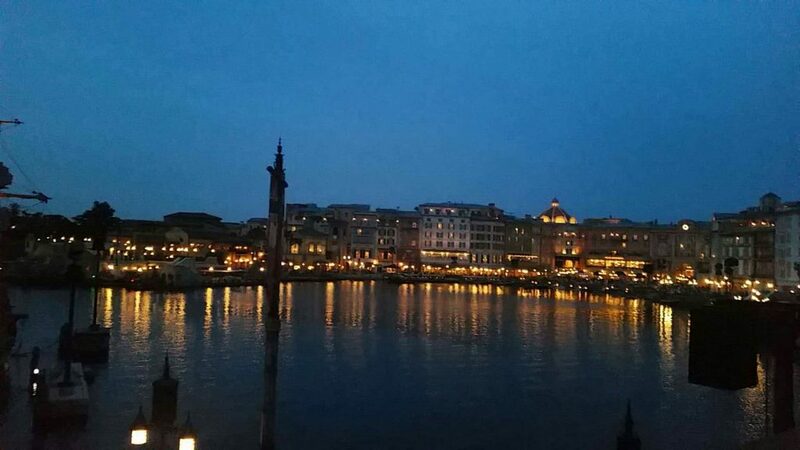 Lastly, the atmosphere of the park changes as the day turns to night and the Mediterranean harbor transforms from a bustling village to a beautiful nighttime getaway. If you ever get the chance to visit a Disney theme park outside the country, I’d highly suggest to take the opportunity to do so. 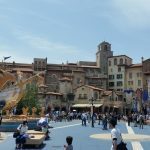 Being able to experience Tokyo Disney Sea was a refreshing change from Disneyland, while still having all the great qualities that Disney Parks embody. 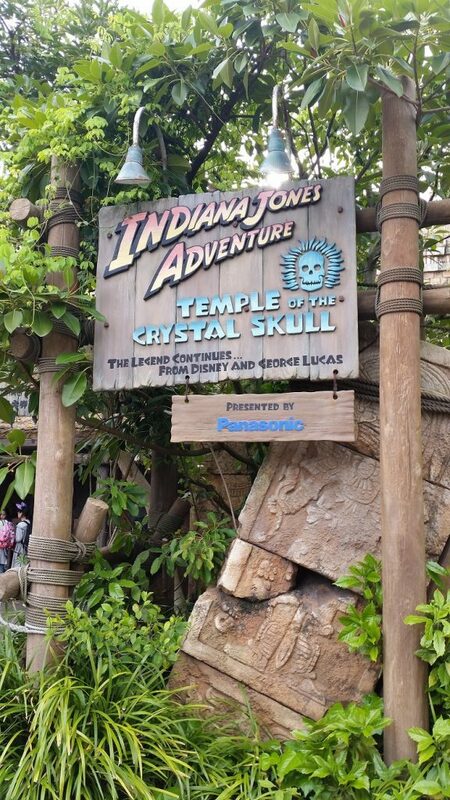 Hopefully in the future, I’ll be able to visit it again along with other Disney parks around the world!